An early diagnosis of Alzheimer’s disease or another dementia can lead to a range of extreme emotions such as anxiety, depression, anger, or relief. Although there is no cure for this progressive disease, with enough time the person living with dementia can prepare for the future. The diagnosed person can establish the details of their own care before they are determined by others. Effective caregiving requires a team and a plan. If you are a family caregiver, you must also prepare yourself for the future instead of reacting to changes as they occur. It is not possible for one person to attend to all the emotional and physiological needs of another adult in the face of a progressive and terminal disease. Often intergenerational lines are blurred, and the caregiver assumes multiple roles. The person living with dementia will increasingly depend on their caregivers. If you are the only one, they will depend exclusively on you to make sense of the world as they experience changes to their vision, sight, coordination, and speech. Their memory will be impaired as tangles and plaques increase, neurological connectivity is disrupted, and brain tissue atrophies and is removed from the body. Often, we make the comparison between raising a child and caring for an older adult. However, unlike a child, older adults have collected a lifetime of experiences, even if they are no longer able to communicate them. These experiences give older adults a sense of pride and expectations for how they are to be treated. Even if they are unable to articulate their wants, they have established a sense of pride. Eventually they will depend exclusively on their caregivers for assistance. This means if you are the only caregiver, they will depend on you for 100% of their needs. When building a relationship, it is important to incorporate the client into their own plan of care. This is done easiest earlier in the disease progression. If you wait too long to incorporate other caregivers into your team, the care recipient may be unwilling to accept care from anyone but you. Even if the caregiver thinks they are physically able to provide care on their own, this care is ineffective. Extreme stress inhibits our ability to perform our best. Family caregivers often suppress their own needs and wants to attend to those of the person living with dementia. Family caregivers find that they are completing the tasks, but without connecting to the care recipient and making mistakes that often lead to confrontation with the care recipient. If you find yourself frustrated when providing care, consider evaluating yourself for signs of stress. Click here to complete the assessment. Qualified professionals are available to help you with the stresses associated with caregiving. The Lutheran Settlement House offers a free Caregivers Reducing Stress program that creates an individualized program for you in the comfort of your own home. This program is available for those living within Philadelphia County. If interested, please visit their website here. Have you built an effective care team? Even if your stress levels are tolerable now, you will eventually need help. Acting now prevents inadequate care and stress in the future. It allows us to learn the stories of your loved one in time, so we can incorporate them to effectively connect while providing care. 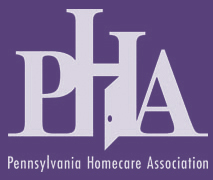 Let us form part of your care team, call 610-323-9800 or complete this form. 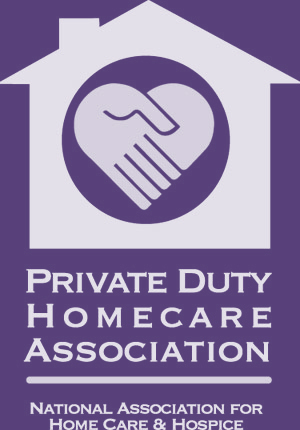 best Philadelphia dementia care, best Philadelphia home care, Bryn Mawr dementia care, Philadelphia dementia care, Philadelphia home care, Villanova home care.